Khamenei Tweets to the U.S. When thinking about the absurdity of this topic, it is hard to know how to start the article, so let's start here and see where we end up. Before we start, please know that the images used on this page are from the Ayatollah Khamenei's twitter account. On July 14, 2015, the U.S., along with the other members of the P5+1 (China, France, Russia, United Kingdom, United States—plus Germany), worked out a nuclear deal with Iran, the country that wants to wipe Israel off the map, and chants “death to America”. Does this not make you wonder what is going on with the P5+1, especially with the United States? While President Obama and Secretary of State, John Kerry, where trying to “sell” this deal to Congress (you have to wonder why, since Obama bypasses Congress anyway and Congress let’s him), the supreme Iranian leader, Ayatollah Khamenei, had other thoughts that were on full display on his Twitter account. That’s right, the Ayatollah Khamenei, has a Twitter account! Who knew? If you haven’t seen Khamenei’s tweet, you can go to his Twitter account and see all of his tweets. However, the picture he tweeted on July 18, 2015, was very interesting … he depicts a silhouette of Obama holding a gun to his own head committing suicide. Then, the picture he tweeted on July 17, 2015 to “US Officials” seems to be a warning and should not be taken lightly by the United States government. On July 20, he tweeted “#Israel's security will not be ensured whether there will be an #IranDeal or not.” If Khamenei's graphic designer had created an image for this, do you wonder what it would have looked like? Let’s remember that we just reached a nuclear deal with Iran earlier in July, and the Ayatollah Khamenei is now basically tweeting threats to the U.S, and flat out saying that Israel cannot live in security just because of this deal. Go figure! Would you give your enemy the opportunity to kill you? Would you give your enemy an opportunity to kill the person who wants to be your friend (think Israel)? People with common sense would answer "no" to either of the questions. So, why would our government go forward with such a deal? Rather, our government says the deal will prevent Iran from getting a nuclear weapon. Really? How goofy is our government? Why are the media questioning those who think this nuclear deal was absurd? Why are they not questioning the absurdity of our government? 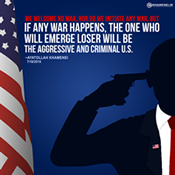 Do you think Khameni was concerned when his graphic designer designed the silhouette image of Obama committing suicide? Do you think he asked his graphic designer to reconsider the image? Do you think Khameni moonlights as a graphic designer? To even have to think about all of this is just sad. Christ says to go into all the world. 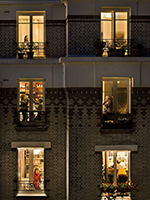 Find out here who is in your world! The graphic is small, and hopefully small enough to pique your interest! 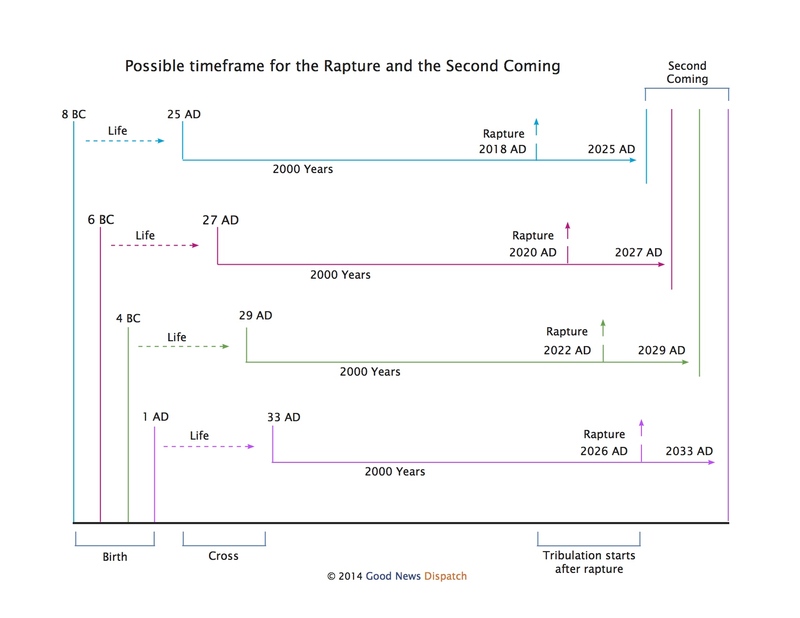 If so, once you click it, you will find an amazing timeframe for the Rapture! 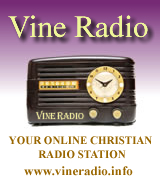 Vine Radio has been a supporter of GND almost since we opened. The sounds of Vine Radio originate somewhere in the mountains of East Tennessee. So, if you are in need of a virtual vacation, drop by the site to visit.